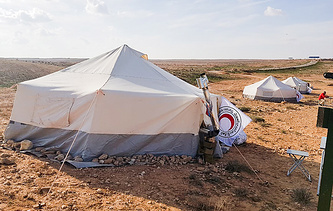 The Rukban camp is surrounded by a mound and a fence, beyond which militant groupings controlled by the United States do not let anyone out, the ministry said. 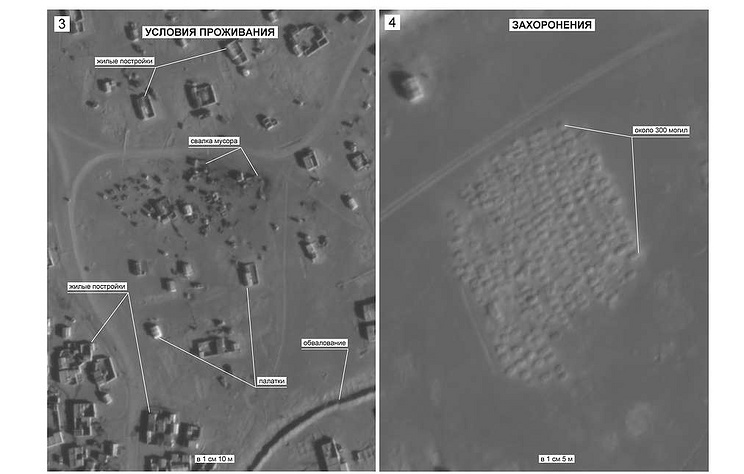 "Actually, the Rukban camp has long lost its status and turned into a reservation area where hostages are held forcibly," Russia’s Defense Ministry pointed out. The command of the US forces in the al-Tanf area where the Rukban camp is located prevents refugees from exiting the camp while militants are forcibly holding them inside, demanding large sums of money in US dollars to let them out. At the same time, the UN data show that more than 35,000 Syrians want to return to the territory controlled by the Syrian government, including 28,000 to the province of Homs, 2,800 to the province of Deir ez-Zor, 1,600 to the provinces of Rif Damashq and Hama and 1,200 to the province of Aleppo, Russia’s Defense Ministry said.